Promoting health care including preventive health care, sanitation, providing safe drinking water etc. Promoting education including employment enhancing vocational skill. Contribution to Prime Minister’s National Relief Fund. Setting up of old age homes, day care centres and other facilities for senior citizens. Eco-friendly activity ensuring environmental sustainability, ecological balance, protection of flora and fauna, animal welfare, agro forestry, conservation of natural resources and maintaining quality of soil, air and water. Such other activities as per schedule VII of the Companies Act, 2013. The Corporation will spent minimum 2% and maximum 3% of its average net profit made during the three preceding financial years from the financial year 2014-15. Un-utilized fund of CSR budget for any financial year, if any, shall be utilized to make contribution to the Prime Minister’s National Relief Fund. 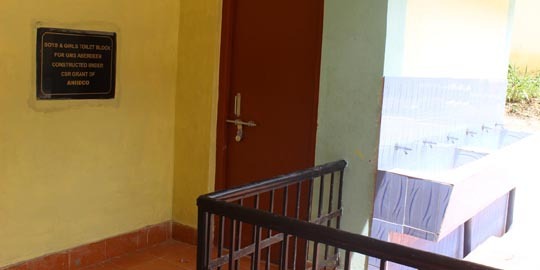 The CSR activity will be undertaken through a registered trust or a registered society or a Company established by the company or its holding or subsidiary or associate company under section 8 of the Act or through such Company/ Society/ Autonomous Body/ Government Departments having established track record of three years in undertaking similar programmes or projects. 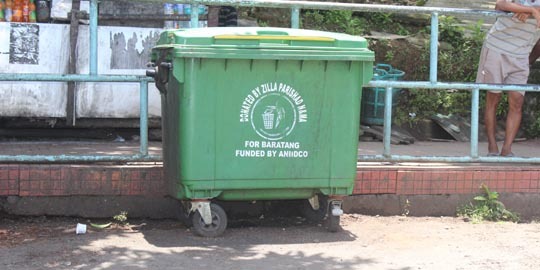 CSR project or programmes or activity will be undertaken only in A&N Islands. CSR Policy or Programmes or activities that benefit only the employees of the company and their families shall not be considered as CSR activity. CSR Committee will monitor the CSR project or programmes or activities undertaken by the Company. The surplus arising out of the CSR projects or programs or activities shall not from part of the business profit of the Company. 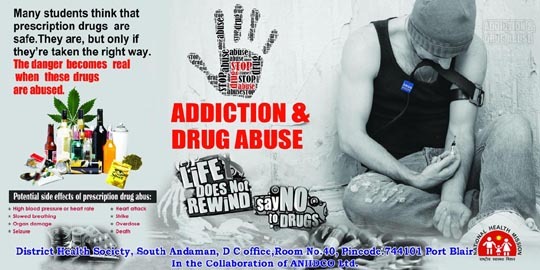 Information, Education and Communication (IEC) activities on de-addiction by District Health Society, South Andaman. Training for Scuba Dive Master Course through Tourism Department. 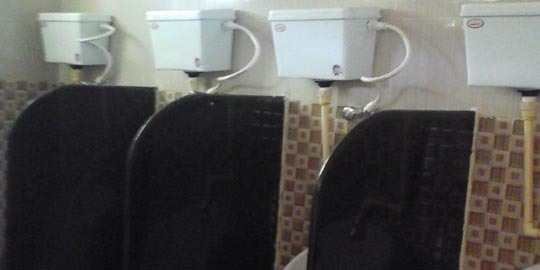 Construction of toilet blocks in six Anganwadi centers at Ferrargunj village. 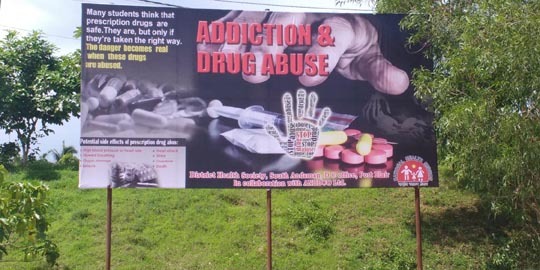 Awareness on the harmful effect of Drugs and alcohol and base line survey to study the addiction pattern and suicide ratio through Directorate of Health Services and Andaman and Nicobar Police. Setting up smart class in seven schools of A&N Islands has also been approved by providing e-learning kits through Education Department. The focus of CSR initiative is not only to create awareness about harmful effects of drugs and alcohol but also to develop the skills of local unemployed youth and provide state of the art IT facilities in school while also provisioning for creation of sanitation facilities in needy areas.